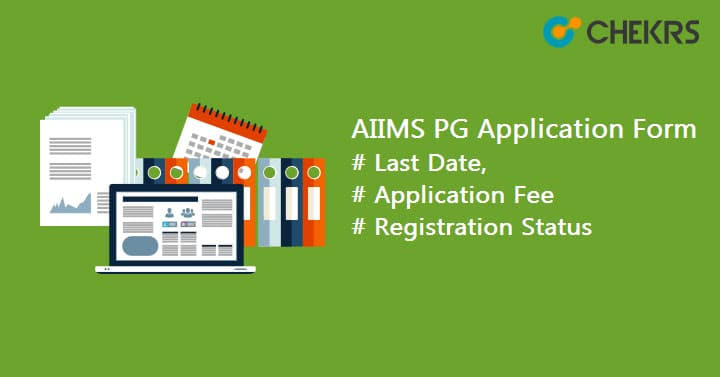 AIIMS PG 2019 Application Form: AIIMS PG Entrance Exams Conducts twice in a year i.e. in January and July Sessions. AIIMS PG Application form will be available in 2 months before the Exam Date. Application Form will be the First step toward the AIIMS PG Admission. Through AIIMS PG Entrance Exam admission will be provided in various PG Courses like MD, MS, MDS, DM, M.CH. AIIMS PG Application Form will be available on the official website only. All other details of AIIMS PG Application Form are provided below. A Candidate must qualify for the MBBS Degree for MD/ MS and BDS degree for MDS program from a University recognized by MCI or MCI Dental. Candidates must have completed the required period of 12 months compulsory rotating Internship/practical training on or before 30th January/ July 2019. The candidate from unreserved category must obtain a minimum of 55% marks in all the MBBS/BDS Examination. There is the relaxation of 5% (it means 50% required) for SC/ ST Category Students. Candidate can fill the Online AIIMS PG 2019 Form by going through the steps given below; Candidate can also get the detail of every single step just below it. Now we are explaining every single step to fill AIIMS PG Application form in detail here. First of all Interested candidates have to Visit the official site of AIIMS MD-MS-MCH Exam i.e. mdmsmch.aiimsexams.org for AIIMS PG 2019 Registration. Without registration, candidates are not allowed to fill the application form. Now in the registration form provide Name, DOB, Email, and Mobile number and click on submit button. You will receive Confirmation Message on Mobile Number and Email ID. Either follows the given link from Email or go to the website, then Login using asked details and click on Login. Find AIIMS MD-MS-MCH 2019 Apply Here option and click on it. After Clicking on the above option Move to the Payment Page. Here Pay the AIIMS Application Fee. You can pay Application Fees through online mode via Credit Card/ Debit Card/ Net Banking. After successful payment don’t forget to take the print out of Payment Receipt. AIIMS PG allows the candidates to choose Exam center and exam time. To Choose an Exam center, After fee payment, a new form will be available. Fill the form with your preferred exam center. Select more than one exam from the available options. After booking the slot candidates will be redirected to the AIIMS PG Application Form. If Not, Click on Application Form link. Now provide all the required and correct Details. After filling all the asked details, you have to upload images in the prescribed format. Upload Recent scanned photograph, thumb impression, and signature. In the relevant space. After Filling all the details and uploading the images take a print out of it. Also, don’t forget to download the receipt.